Welcome to the second edition of the NHS Health Check digital exemplar project update. 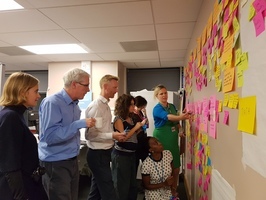 This project brings together PHE’s national CVD Prevention team, Behavioural Insight team and PHE's Digital team to use a blend of service design and behavioural insights to look at the potential for digital technology to support the NHS Health Check programme. 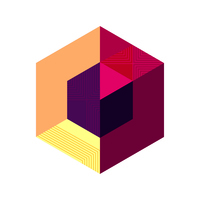 You are receiving this update because you are directly involved in the exemplar or because we have identified you as someone who would be interested in our project. To find out more about the project vision and progress to date visit the NHS Health Check website. The team spent many hours poring over the transcripts of the interviews undertaken over the previous weeks. With 6 commissioners, 9 providers and 15 members of the public interviewed for an hour each this was a lot of raw data! The raw information from the interviews was summarised into quotes, which were then synthesised into insights; for example where an interviewee might go to find information about health matters. Using this method we have identified approximately 200 insights across the 15 members of the public interviewed! A key goal of this project is to combine service design and behavioural insights principles. This will allow us to form insights into why users behave in a particular way and identify possible ways to change that behaviour. This is particularly important when it comes to changing lifestyle behaviour, however we have used it across all areas including for example agreeing contracts for services. All three have to be present for a behaviour to take place. The insights captured from the interviews, where relevant were mapped into the capability, opportunity or motivation categories of the COM-B model. Now that we had the insights recorded against each interview participant, we needed to group them into themes. Our final day was spent with the key insights on post-it notes plotting them against key points in the health check service journey. Once complete we could clearly see themes emerging from clusters of similar insights. In the photo you can see members of the team grouping the insights into themes. From left to right Lara (Service designer), Daniel (Service Designer), Tim (Behavioural Insights), Natalie (Behavioural Insights), Andrea (Product Manager), Dellis (User Researcher), Jo (CVD Prevention). The themes identified on the post-it wall are being refined and collated into a usable format. This synthesis work will feed into the design of materials to be used at a concept workshop on the 27th November. The attendees at the workshop will be a mix of NHS Health Check providers, providers of healthy lifestyle services and local authority commissioners of these services. The workshop is about facilitating professionals delivering the NHS Health Check and associated lifestyle services to come up with new concepts for the delivery of these services. We look forward to reporting on how the workshop went in our next bulletin in a few weeks time.